Xûr, Agent of the Nine has made his weekly stop in the tower with a fresh stock of Exotics. 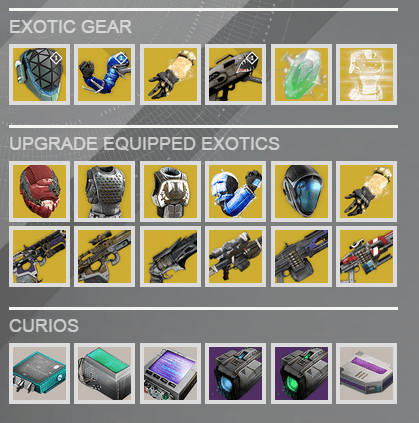 Click here to see a list of Xûr’s previous inventories. This is what we think about “earning” Exotics. Where is Xûr? What’s he selling? 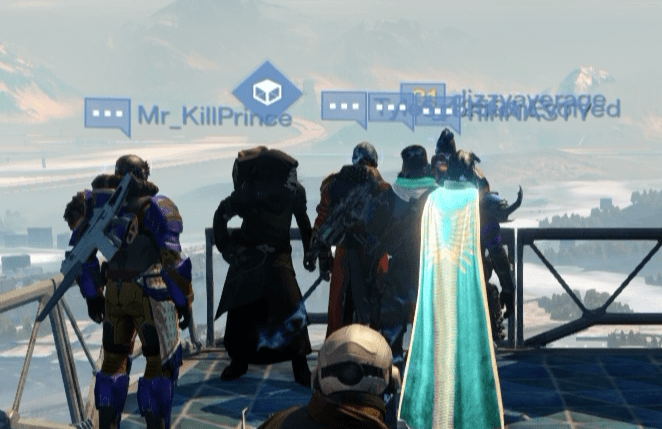 Xûr is located near the Speaker. He’ll be in the Tower until 9 AM GMT on Sunday (4/5). Check out our Exotic chest reviews if you plan on buying an Engram. In other Exotic news, our latest weapon reviews are on our YT channel and site! We also recently updated the text on MIDA, Plan C, Hard Light, and Invective. To check out all of the House of Wolves Exotics, click here.